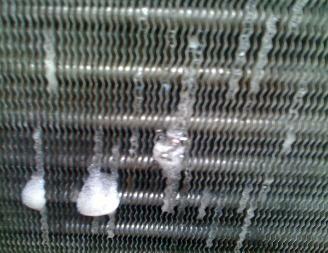 Perhaps you've read or listened to one of our earlier posts entitled "Fix the Refrigerant Leak Now!" so you know how expensive refrigerant leaks can be! 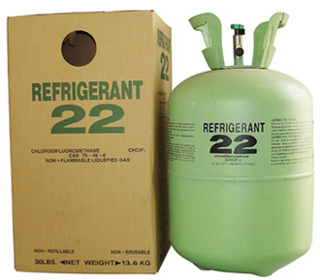 With the phasing out of R-22, a "shot of Freon" (as it is often called), could run you $400 or more. And there's no telling whether that will last a couple of months or a couple of weeks! Plus, it is detrimental to the environment, causing a depletion of ozone in our upper atmosphere. If you recharge the system several times, the oil in the compressor will deplete enough to damage the compressor, and then you may require a major and expensive repair! A properly-working air conditioner does not consume or use up refrigerant, so if it is running low on refrigerant, there is a leak somewhere in the system. But where? In this post, we'll talk about the most likely culprits. The Schrader valve, also called the core valve, or service valve, is the port you hook up to when servicing the system. That's why finding a leak here can be so elusive: while it is in use, it doesn't leak. It's only when it is not engaged that the leak can be detected. Often, this can be as simple as putting a soapy solution around it and watch for bubbles to form, or using an electronic leak detector. The Schrader valve can become leaky when debris gets stuck in it, or when the rubber o-ring deteriorates. It used to be that to swap out the valve with a new one required removing all the existing refrigerant in the system (pumping it down) first. But now there are some specialized tools that allow you to swap out this valve while the system is still under pressure. 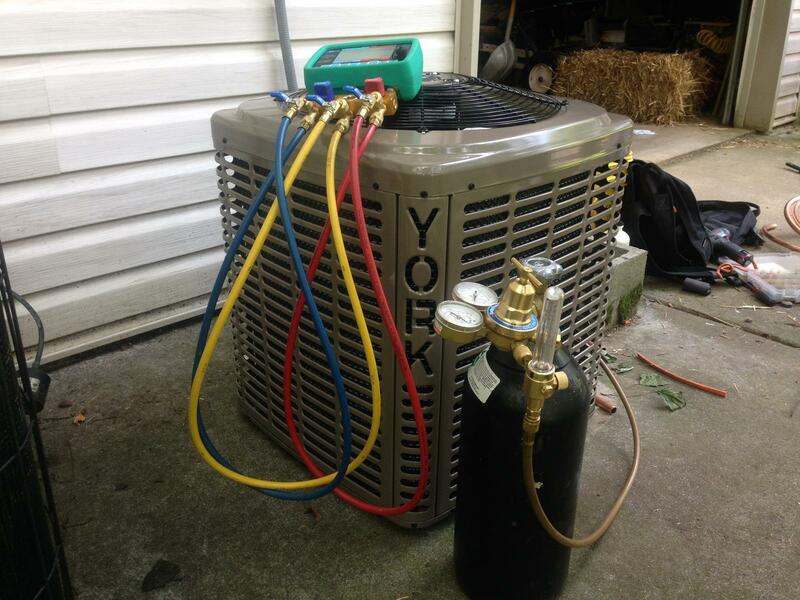 After swapping it out, the system can be topped off with refrigerant. Consider yourself lucky if this is the problem because it is easily repaired. The evaporator coil picks up heat from indoor air, and the condenser coil releases heat into outdoor air, so these coils are essential for heat exchange. Either or both can develop leaks over time. In some cases, you may be able to hear the hissing sound emanating from the coil and can determine where the leak is. What's more likely is that the coil has developed microscopic "pin holes" in several places. That's because these coils are ty pically made out of copper, which is particularly susceptible to pollutants such as formaldehyde which is often found in our homes in flooring, furniture, hairspray, and cleaners. Formaldehyde turns into formic acid which causes corrosion on the inside of the tubing. Ironically, newer systems that meet the government's mandate for increased efficiency may be more susceptible to these kinds of leaks. That's because A/C manufacturers found they can raise the efficiency of their equipment by using thinner copper in their evaporator coils, thus allowing faster heat transfer. Some A/C manufacturers have switched to aluminum coils to lessen the probability of this type of corrosion. Heat pumps typically have accumulators made of steel, which will rust over time. Any of these types of causes are very expensive to address because they require replacement of the coil or accumulator which is a very expensive part, plus it requires a complete depressurizing of the system (withdrawing all refrigerant or "pumping down"). Vibration of running the system, as well as environmental pollutants, can cause joints, rubber seals and copper tubing to weaken, split, separate, or rust. A lawn mower or nail may have punctured a line. Steel parts will rust if not galvanized or made rust-proof. Age is also a factor, because the system is under high pressure causing the walls of the tubing to thin and weaken over time. These leaks can be hard to find and may require disassembly of the unit. To locate the source of the leak may involve injecting a tracer (a fluorescent dye) into the system and then re-checking the system about 10 days later using a UV lamp to see where the dye has leaked out. Once the source is found, the joint, connection, or hole in the tube can be fixed by re-soldering, cutting it out, replacing it or by-passing it. The diagnosis and repair of these conditions can be time-consuming and thus expensive. Depending on the age of the air conditioner or heat pump, and the type of refrigerant it uses, you may be faced with a dilemma: You may need to consider replacing it rather than repairing it. Weighing the costs can be tricky, so you'll want to read our post entitled "Repair vs Replacement." Keep in mind it is possible to repair one refrigerant leak and have another one develop in a different location shortly thereafter. Whatever you decide, doing nothing is not an option. Sure, the cost to repair or replace your system may be higher than simply adding another "shot of Freon," but not repairing a leak causes recurring expenses that will only escalate, risks major damage to your system that could be even more costly, and injures the environment. Finding the source of a refrigerant leak requires the use of specialized tools and supplies, specialized training, and is something few homeowners can do themselves. Recharging the system with refrigerant whether the "old" R-22 or R-410A equivalent, or the new refrigerant R-422 is definitely not something a homeowner can do since it requires a government license to order and use these refrigerants. Depend on the experts at Interstate AC Service to diagnose the source of your leak, fix it, recharge your system, and get your air conditioner operating at peak efficiency.